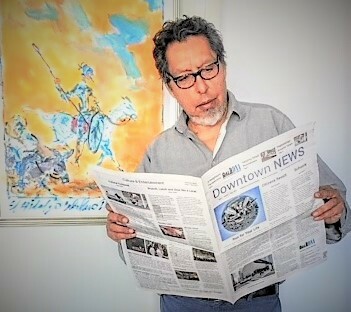 First Edition of Downtown News, hot off the presses, April 2018. Raul Guerrero, Editor. It is with great pleasure that we bring you this April Anniversary Issue. It’s been one year since we published our first edition of Downtown NEWS. 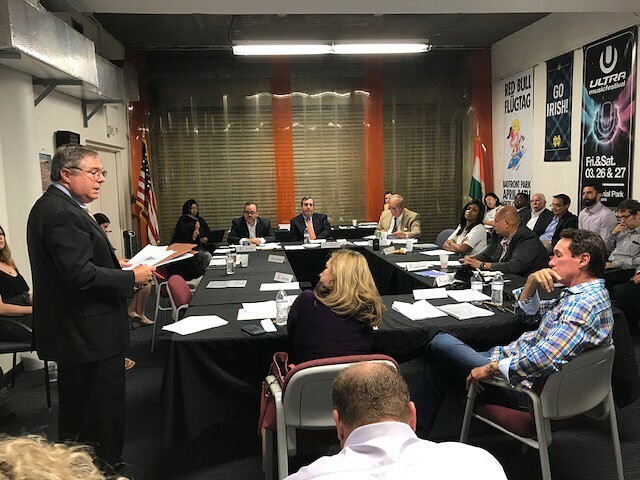 When we first sat to develop the idea, we decided to focus exclusively on Downtown Miami, and maintain a nonpartisan stance — if anything, following the philosophical dictates of the Downtown Neighbors Alliance DNA, our publisher, we aspire to be a pressure force for Downtown, for our evolving neighborhood. I remember how excited I was when our first published article reached 50 readers, and then it was 600, and 10,000. Perseverance and commitment paid off, not only ours but all our collaborators’. This is a community endeavor, and the downtown community has responded with their commentaries, opinions, letters, with profound investigative articles, and photos. I invite you to read from the current Anniversary Issue, the incisive and well-researched cover story by Joy Prevor, Schools? A Case of Taxation without Representation? For the section Our Streets, Rethinking Biscayne Boulevard by a young urban planner, Aaron DeMayo. A writer who has become a fixture of Talk of Downtown, Matilda Kalaveshi, brings us her business acumen in Retail is Detail. One of the collaborators since day one, Terrell Fritz, returns with his take on the evolution of Miami’s iconic street, A View of Flagler Street. And we invited Frank Steslow, President, Frost Science Museum, to define the role of a science museum in Miami. Thanks, County-Commissioner Eileen Higgins for taking time from your busy schedule to talk to us for this issue about the importance of local newspapering. And thank you, City of Miami Commissioner Ken Russell for you thoughtful congratulatory message and you commentaries throughout the year. DNA Attorney Sam Dubbin arguing for downtown residents’ right to enjoy Bayfront Park. Downtown News has chronicled fierce battles residents fought to safeguard our parks, to curb noise pollution, to improve pedestrian safety, to find solutions for the complex issue of homelessness… Democracy can't work without an informed electorate and Downtown NEWS is committed to foster civic engagement through information relevant to the neighborhood. “Downtown News is serious, but also playful, social,” said Commissioner Higgins. One popular feature is Cultural Compass, guiding our readers to the neighborhood’s offerings, from our world-class institutions, PAMM, Frost, HistoryMiami, MDC, and the Arsht Center for the Performing Arts, to smaller neighborhood gems. Credit goes to our Culturist in Residence, Islara Souto. And the no less popular Eat & Drink Column showcasing the neighborhood bars and restaurants by Aurea Veras. Not for nothing, they say, a picture is worth a thousand words. Responsible for Downtown News photography is Niels Johansen. And no respectable publication can prescind of an authoritarian copyeditor, thanks, Professor Martha Otis. 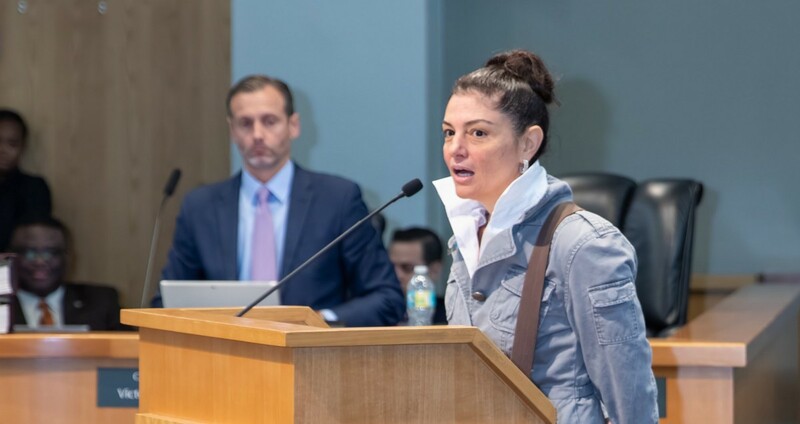 DNA President, Amal Solh Kabbani, addressing the City Commission. Photo Niels Johansen. A newspaper, no matter how small, requires many hands and minds. Backstage, we had the essential support of people not too fond of spotlights. And, of course, couldn't have done it without DNA President Amal Solh Kabbani, a force that needs no explanation. Don’t miss her Sunday Editorial on redistricting. For the table of contents, please click here. Some articles are online now, and others will be posted in the course of the week. The Anniversary Print Edition is coming out next week. Enjoy it, and thanks for your support!